Insurance companies, like other businesses, are trying to maximize their profits. While an insurance company may have a legal contract with your employer that requires the insurance company to pay you workers’ compensation benefits for your injuries, the insurance company has an incentive to pay you as little as possible for your injuries. Any money that is not paid to you is money the insurance company gets to keep. If the treatment of your injury is going to be expensive or if you are going to be out of work for a long time, then the insurer may look for ways to terminate your case early. The insurance company may assert that you are not as disabled as you claim to be and may try to suspend your benefits on grounds of fraud. Monitor all of your social media accounts. The insurance company may also monitor the accounts of your relatives. Hire a private investigator. 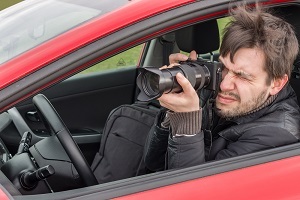 While an insurer may hire a private investigator to follow you in public places, the investigator may not trespass on your property. The insurance company is looking for information that contradicts your claim. Depending on your injury, the insurer may be looking to see if you can get around better than you claim, if you can lift more than you claim, or if there are any other contradictions between what you report to the insurer and your actual condition. While you’re collecting workers’ compensation benefits, you should not expect privacy for your social media postings or for anything you do in public. Even when you are legitimately disabled, you should be cautious about anything you do that could be misinterpreted as a sign that you have reached your maximum medical improvement. Accordingly, it is important not to post anything on social media that can be misinterpreted, to follow your doctor’s orders exactly, and to be honest with your attorney and the workers’ compensation insurance company. For more information, and to make sure that all of your rights are protected, please contact an experienced workers’ comp lawyer for a free consultation. Can an Insurance Company Spy on Me After a Truck Accident? Who Decided I’ve Reached Maximum Medical Improvement and Can No Longer Receive Workers’ Comp Benefits?